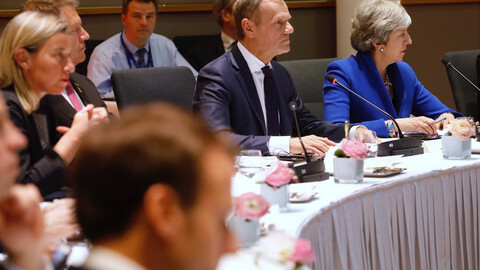 The European Commission has denied it was behind alleged comments that UK prime minister Theresa May had "begged" for help at a dinner in Brussels last week. Chief commission spokesman Margaritis Schinas on Monday (23 October) described the comments allegedly made by president Jean-Claude Juncker as a ruse to undermine negotiating positions on Britain's departure from the EU. 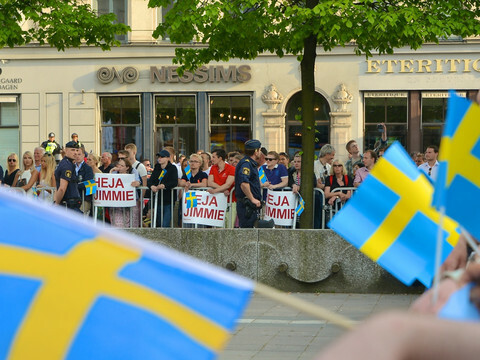 "Some people like to point at us, to serve their own political agendas, their own political priorities, or even to undermine our negotiating positions," he said. Schinas added that the EU Commission has "no time for gossip" and hopes the people behind the leaks "would leave us alone". He also said the Commission has no intention to punish the UK over its decision to leave the EU. The denial follows a report in German newspaper Frankfurter Allgemeine Zeitung (FAZ) on Sunday suggesting May had made desperate pleas to foster support for Britain's tangled departure from the EU. 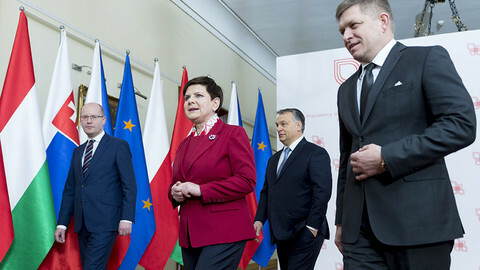 The article - referring to the pre-summit dinner between May and Juncker in Brussels last Monday, with Michel Barnier, the EU Brexit negotiator, David Davis, the Brexit minister and Martin Selmayr, Juncker's chief of staff also present - does not name any sources. But it says May had "begged for help", that she appeared to "have deep rings under her eyes" and was "anxious, despondent and disheartened". The article sparked a minor Twitter storm between May's former advisor, Nick Timothy, and Selmayr on Monday. Timothy accused Selmayr of leaking May's alleged comments, noting in a tweet that "some in Brussels want no deal or a punitive one". "This is false. I know it doesn't fit your cliché," responded Selmayr, adding Juncker had "no interest in weakining" May. BBC reporter Adam Fleming on Monday says that Juncker had also denied the reports. "I am really surprised - if not shocked - about what has been written in the German press," Fleming cited Juncker as saying in Strasbourg. 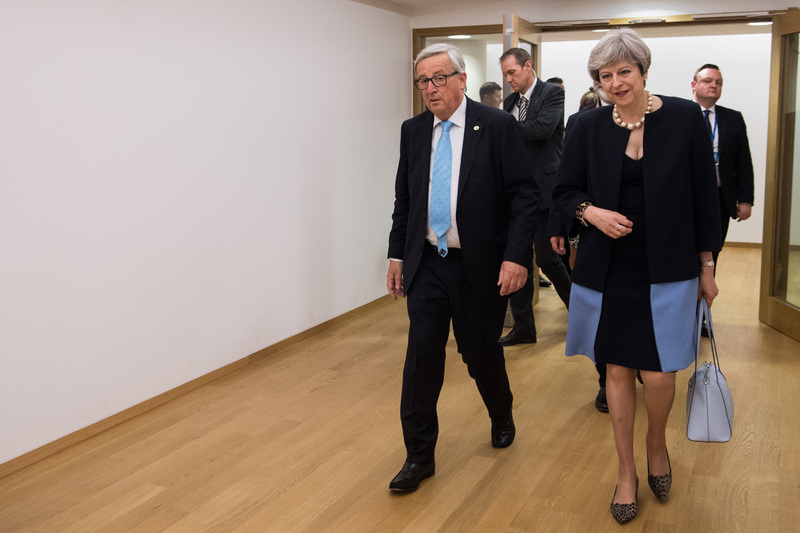 It is not the first time that a dinner between May and Juncker over Brexit sparks controversy. 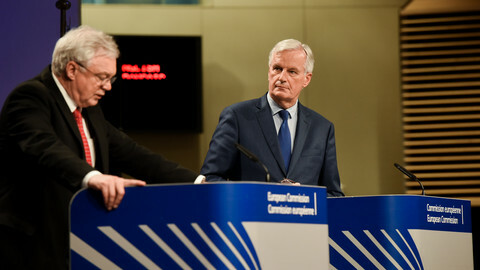 The two met in London in late April, also with Barnier and Selmayr. 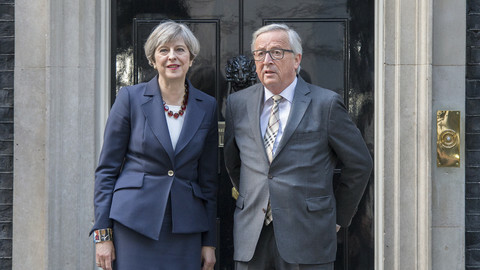 According to an article, also in the FAZ and by the same reporter as Sunday's article, Juncker at the time was unimpressed with May's preparation on Brexit . "I leave Downing Street ten times more sceptical than I was before," he was quoted as saying. Selmayr was at the time widely considered to be the source for the leak, which May said was "Brussels gossip". 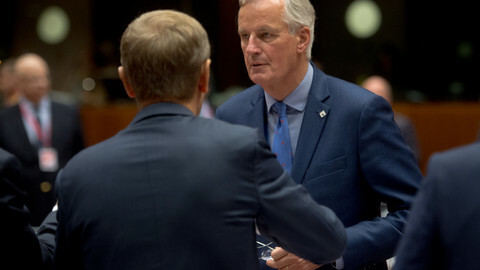 EU negotiator Barnier also said after the latest round of Brexit talks that with political will, progress can be achieved in the next two months - in time for the December EU summit to give the green light. 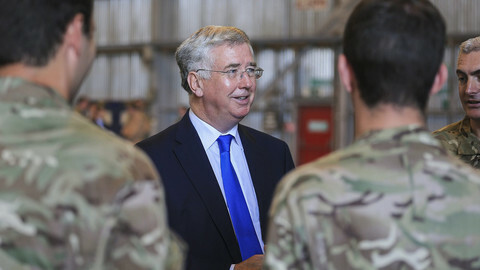 Defence minister Michael Fallon resigned over sexual harassment allegations, amid a growing scandal that could weaken the government in the middle of crucial Brexit talks.